Ernesto Laclau, according to The Guardian, became the intellectual figurehead of Syriza and Podemos. This ideological marriage could signal that populism is finally losing its negative connotation? I am not entirely sure that the notion of populism is getting rid of its pejorative connotation, but that doesn’t mean that populist logics are not gaining currency in some sectors of the European Left. In fact, if you look at Podemos and Syriza, they tend not to be too explicit on the fact that their political practices are quintessentially populist. In the case of Syriza, they explicitly refuse that label, for two reasons: on one hand, the term is highly discredited, while on the other, not the whole party would be happy with that denomination. Podemos is more open about it, but I wouldn’t say that they use ‘populist’ as a primary self-definition, this is normally a theme developed in certain speeches by Íñigo Errejón, its Political Secretary, when he addresses particular audiences. However, what you are saying between the lines is correct: the Left is ever more eager to embrace the populist path, even though this is not always expressly acknowledged. Nevertheless, the process is not ubiquitous: while in Latin America populism is widely accepted and internalised within the Left, in Europe this is not so, and we may speak of Spain and Greece as interesting laboratories in this sense: they are experimenting with a political logic that was once considered – and to an extent still is – as a taboo. In Italy instead, this possibility is still quite remote: suffice it to consider the attitude that the bulk of the Left has displayed towards the Five Stars Movement of Beppe Grillo. I am not saying that Grillo is a panacea – far from it – but the Left failed to recognise some of the promising elements of that rhetoric. Is populism beyond the ‘old-fashioned’ right-left divide? Or does it head where there is greater room for consensus? This is a difficult question, because it could be answered at different levels, and in my case I have different answers according to the level of abstraction. At an analytical level, I think the divide by and large still holds and can be used as a fairly good interpretative tool to understand current political events. Basically, what you have is a set of broad ideals and values, and what tells one political project apart from another is the degree of approximation to, or the type of incarnation of, such values. So, while populism tells about the form, the Left-Right divide tells you about the normative aspects of a political practice. In this way, you can have right-wing, left-wing, radical centrist populisms. At a political level, it is a different story. Let us focus on the Left. Here, it is important to grasp the progressive disjunction between the signifier and the signified. In many countries, the Left has become the signifier of phenomena quite at odds from what it originally stood for. The Left has become associated with inefficiency, authoritarianism, anachronism, fragmentation, irresoluteness, and so on. These associations may be unwarranted in some cases, but they shape the collective imaginary. Is the leftist symbolic heritage any promising for an emancipatory politics that aspires to be hegemonic? In the contexts where the Left is highly discredited, anchoring your politics exclusively or prevalently on a leftist identity becomes a liability rather than an asset. People don’t vote you simply because you say you are a true leftist. Populism gives the possibility to derange the classical political entrenchment, so in a sense it goes beyond Left and Right. You still have populists that openly declare themselves “of the left”, like in Latin America and Greece, but being “of the left” is not what made them hegemonic. Populism proactively puts together different identifications and pits them against the oligarchy. This process actually transforms the very identifications that are articulated. So, you have people who always voted on the Right that are all of a sudden enticed by a discourse that powerfully indicts bankers for their financial misdeeds. In the process of mingling with new constituencies and ideas, they entirely undergo a review of their credos. That’s why in politics we have identifications, which are unstable and reversible, rather than fixed identities. This of course goes well beyond electoral politics. This is what Antonio Gramsci called hegemony. 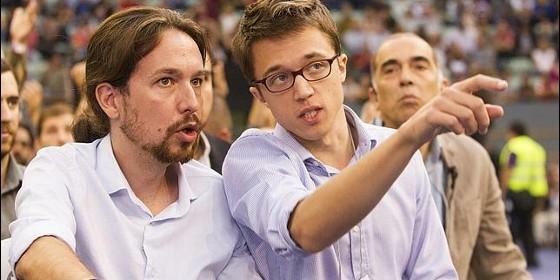 You interviewed Íñigo Errejón, one of Podemos’s key strategists, who studied Bolivian populism and declared in several occasions to get inspiration from Ernesto Laclau. Íñigo Errejón told you that Podemos wants to aggregate the people as opposed to the elites, which is a typically populist element. My question is: once in power, how does a populist party can evolve? More precisely: once it represents the political elite, who remain to be blamed? A populist party necessarily goes through a degree of institutionalization once in power. However, this observation does not amount to saying that the evolution of a populist party in power is always the same, or that it necessarily gets co-opted by the existing regime. Many factors influence its evolution. One of the risks for a populist party is that of falling prey of its own rhetoric. This happens when a populist party stays in power for a long time and presides over some considerable structural changes, as in the case of the Latin American populist projects. The Ecuadorian context is the one I know the most. What you have there is a considerable leap forward in terms of social progress, with great strides in the fields of poverty and inequalities reduction, infrastructural modernisation of the country, sovereignty recapture just to mention a few. A stunning political U-turn in less than a decade. However, the society that the very government of President Rafael Correa contributed to change has now developed new demands and scenarios. The current situation requires an innovation of the terms of the discourse, which is something that hasn’t been done. The Citizens’ Revolution is losing constituencies as new challenges make for new social grievances that the government finds increasingly hard to articulate. In particular, holding together this new historic bloc proves to be difficult by maintaining the same old litany. Such a discursive fixity is mainly due to the fact that the project is over-reliant on a single figure, the figure of the leader, to the point that a worrisome cult of the personality has developed. In Ecuador, Correa is the main opponent of many innovations that would bring some badly needed oxygen to the project. It is ironic because he has been the indispensible catalyst of this political experience, and now represents, in my opinion, its main encumbrance. Populisms may display tendencies like this – and in the Latin American context the political culture of ‘caudillismo‘ doesn’t help in this sense -, but I wouldn’t say it is a defining feature of populism. As for who remains to be blamed, that is normally the economic elites. We shouldn’t lose sight that populisms are often chiefly addressed at them. While the old political elites are to a great degree normally swept away once a populist project takes hold (even though bureaucracies stay and they tend to be quite recalcitrant to social transformation to the point of actively boycotting it in many cases), economic elites are harder to combat. So I am not saying that they remain to be blamed only instrumentally: if a populist party is genuinely to carry out structural reforms, economic elites will systematically sabotage and threaten it. This in turn is what typically generates an anti-democratic environment, which goes hand in hand with the personalist tendency outlined earlier; when you are facing the open challenge of powerful actors, internal discussion and deliberation in the popular camp are seen as superfluous and even harmful. This easy temptation to dismiss all criticism as dangerous and flirtatious with the Right should of course be fought at all costs. Syriza is another example of left-wing populism in Europe, with a remarkable distinction: it is already in power. Will they be able to avoid the Greek bail out? If this will be the case, will they be able to maintain their identity despite the alliance with the conservative party ANEL? Nobody can even remotely predict what will happen with Syriza and Greece. It is a situation with so many variables that not even the most mechanistic social scientist would dare to make a prediction. What I can say however is that much of what will happen is intimately linked to the discussion on the Euro that is going within Syriza. I am not particularly keen on the positions defended by the Finance Minister Varoufakis: I find it quite foolish to sit at the table with European technocrats without any ace up your sleeve. The only valuable card that the Greeks have at their disposal is the exit from the Eurozone and they should fully play it in the negotiations. Varoufakis’ position doesn’t even remotely contemplate exiting the Eurozone, but this is the only way for Tsipras to honour the electoral promise enshrined in the Thessaloniki Programme. We have already seen that insisting on Greek sovereignty doesn’t do the trick and that the Troika does not hesitate to provoke liquidity and financial shortages if the Greek government doesn’t comply with austerity measures. If the Euro-threat fails to achieve a debt renegotiation and the Memorandum is not scrapped, exiting the Euro for real will still be better than remaining in it, as the mad neoliberal fundamentalism of the German-led alliance is driving the country to social and economic disaster. In this sense, I think Tsipras should pay attention to what Syriza MP Costas Lapavitsas, a distinguished economics Professor at SOAS, proposes. As for the alliance with ANEL, I don’t find it particularly problematic. The situation was straightforward: Syriza fell short of an outright majority of just a few MPs. It received a mandate thanks to a major electoral promise: ending austerity. A government without a stable majority was impossible. ANEL was the only party available to make an anti-austerity alliance. They had to do it. And it’s not like ANEL is a proto-fascist party: it’s a conservative party, wary of big business and quite nationalist. Far from ideal, but if you are not pragmatic in politics, you end up in the fringes. I think it will be ANEL’s supporters that may struggle to maintain their identity in the end. What distinguishes Podemos and Syriza from the other parties in Spain and Greece? And, in turn, which are the peculiarities of the two parties when compared among them? Podemos and Syriza articulate a political will of rupture, which openly confronts the current economic and political system in Europe, and they do so by advancing a discourse that cannot be equated to that of other post or neo-communist parties, whose capacity to have bearing on public discourse is practically close to nothing. They no doubt have differences however: Syriza was founded as a coalition of left-wing parties and movements, and its working still mirrors this composition. 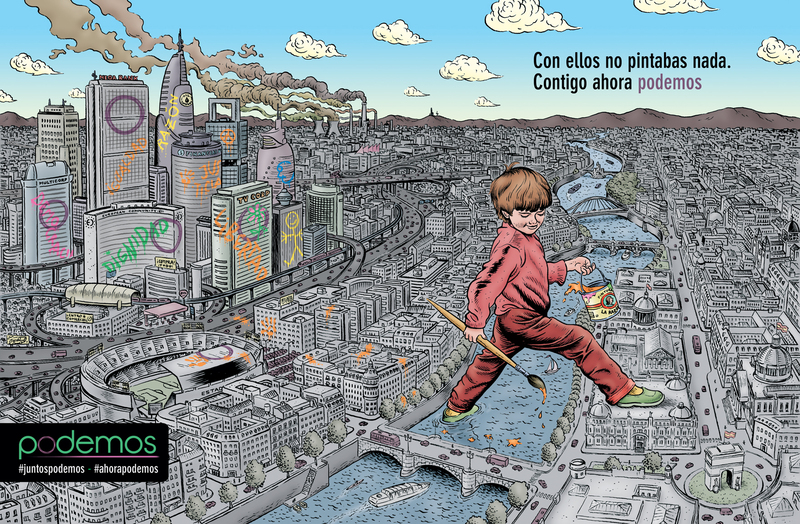 Podemos instead is a different type of creature, created precisely out of the dissatisfaction with contemporary radical politics. Their diverse historic origin is reflected in a crucial difference between the two: while Syriza openly identifies itself as a left-wing force (which is enshrined in its name, after all), Podemos says to be beyond Left and Right. But that’s for the reasons I mentioned earlier. Does it make sense to talk of populism 2.0? In other words, would populism be the same without the Web? I think populism is an intrinsic aspect of politics, so populism is not parasitic upon the Web. Populism is best captured when referring to what Laclau and Mouffe call the logics of equivalence and difference. The former simplify the political space constructing “us-them” antagonistic relations between elements. The latter instead maintains the elements distinct and autonomous. By so doing, the political space is rendered more complex. Constructing a political identity is essentially a combination of these two movements. When the logics of equivalence prevail, you lean towards populism, when the logics of difference prevails, you are closer to institutionalism. This framework rests upon a political ontology whereby society doesn’t have fixed political identities or a fixed destiny, but is fundamentally the product of rhetorical operations. When certain narratives manage to have the upper hand, then you can talk of hegemony. The Web instead is the main tool through which these signifying logics are nowadays conveyed by certain projects, as it was in the case of commercial TV with Berlusconi’s tele-populism. The Web brings folklore of its own, but I wouldn’t say that populism would be a completely different story without the Web. Which are, in your opinion, the factors that contribute most to the success of populist parties in Europe? Is it only the role of the economic crisis or something is changing more deeply? Let me firstly be clear on this distinction: by shattering existing symbolic configurations, economic crises may lead to political change, but not always. In other words, there is no in-built mechanism by which economic crises beyond a certain threshold of hardship produce revolution or a redeeming populism. Discontent can always be re-absorbed rhetorically and materially: this is what has happened by and large in Europe so far. Nevertheless, crises expose the contingency of hegemonic social relations, making the situation ripe for new projects to present a challenge to power holders in the name of new norms and values. This is what has happened in Greece and could happen in Spain: but it takes smart political forces to take advantage of the situation. On the one hand, the economic crisis in Europe has been shaking many foundations of the current axiological system. On the other, however, I don’t think it’s just the economic crisis, but also the transition from Fordism to post-Fordism that is becoming ever more evident and difficult to bear. The development of what Guy Standing calls the precariat is a reality which exposes young people to perpetual labour uncertainty. I would say that the vote for Podemos mainly comes from impoverished middle-class young people, whose possibilities to have a life as decent as that of their parents are shrinking below their eyes. Why the success of populist parties is not a homogeneous phenomenon across countries? Could it be linked to a specific national culture and a certain idea of how power should be exercised? As I said, populism has a chance to arise when the contingency of symbolic systems is exposed, but of course there can be structural limitations, such as institutional barriers (like the electoral system), cultures averse to dichotomising discourses, and so on. These obstacles can at times be overcome: who would have thought some 10 years ago that a populist party like UKIP could have thrived in a place like England? Now, populist parties are spreading in many different places in Europe, except they are sometimes right-wing parties, and as such they carry dangerous ideas. The chief enemy for them is not the banker, but the poor immigrant. It is a populism that pits the poor against the poorest. It lacks any kind of serious social and economic analysis and, as a result of that, it isn’t equipped with any tool to intervene. As such, it is a populism that needs to be rejected and disowned. I see the potential risk for populism to confuse two concepts: the people and the state. Typically, this is an element of chaos introduced on purpose by totalitarian regimes. Can populism avoid nationalism and totalitarianism? Populism may display organisational and discursive features that have impingements upon democracy that contradict the ethical thrust that a leftist political project should carry. The ethical thrust has to do with the recognition of society’s openness and non-closure. Quoting Claude Lefort, power should always be seen as a fundamentally empty space, and its filling only as a contingent and temporary act called hegemony. Chantal Mouffe has enshrined these notions in her agonistic model, whereby the political Other is not to be perceived as an enemy to destroy, but rather as an adversary whose right to propagate his ideas is not even remotely put into question. Articulating a democratic populism that pays heed to pluralism is a fundamental challenge of contemporary Left.